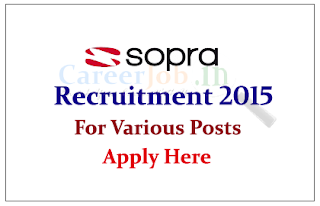 Sopra Group India Private Limited is Hiring Freshers and Experienced professionals for the various posts 2015. Eligible candidate can apply here as soon as possible. Sopra is one of Europe's longest established IT services companies. From the outset, Sopra positioned itself in all of the IT services sectors and soon became a key player in the French market. On March 2014, Sopra Group became Sopra. In April 2014, Sopra announced a merger with Steria in an attempt to create the European leader in computer services. 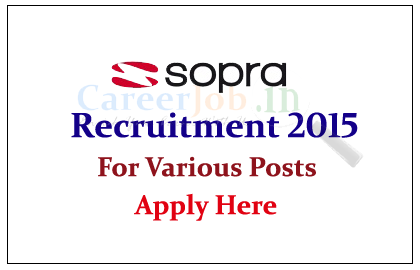 Eligible Candidates can send their updated resume to careers@in.sopra.com with Job Title and RefCode in the subject.